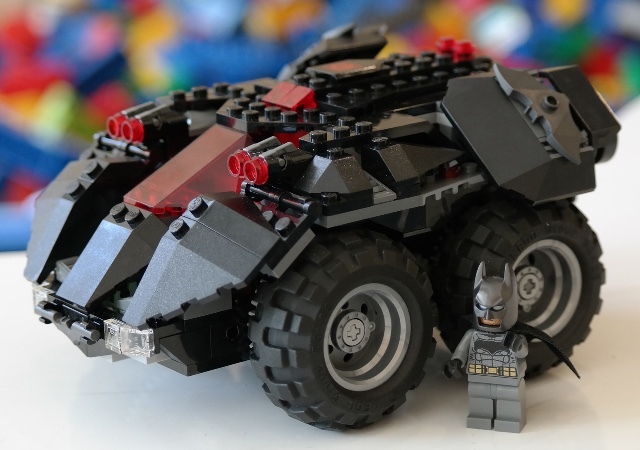 Legos aren't just the simple building blocks you remember from your childhood. Though there's still plenty of building involved, Legos are now high-tech, connected toys. Powered Up is the company's latest line of smart toys, and it's all about combining traditional Lego building with new digital tricks. The key is connectivity. Powered Up sets can be remotely controlled using an app (for Android or iOS devices). Initially, the app is really just a customizable remote that lets kids rearrange buttons and sliders to suit their tastes. But a "coding canvas" feature due out later this year will let kids program their Powered Up toys, combining movement, speed, sound, and duration commands to create custom stunts. 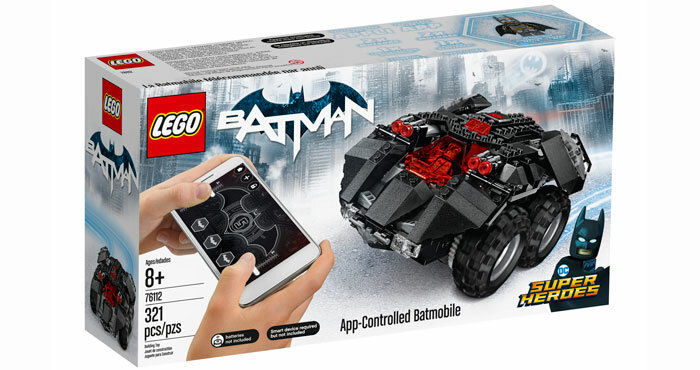 The most exciting part of this set — likely for both kids and adults — is the Lego Batman App-Controlled Batmobile. This 321-piece set includes two motors and a battery hub to transform the Batmobile from a still model into a remote control car. But while the Batmobile may be the most exciting Powered Up set, there are more remote control options with Powered Up versions of Lego's City Passenger Train and City Cargo Train. For younger builders, there are two Duplo sets: the Duplo Steam Train and the Duplo Cargo train. These big bricks are easier for younger kids to manage (and harder for them to swallow), and their Powered Up versions are a little more about learning. They include sensor blocks and color-coded tracks that teach the cause and effect concepts that are a precursor to programming. While these sets ship with Powered Up components, some sets will be Power-Up enabled, so kids can easily add Powered Up features to other sets. But Lego is all about creativity: while these sets will walk your kids through building specific remote-control creations, the possibilities are only limited by their brick collection and their imagination. And with more programming features coming later, the possibilities are really endless. These new sets are similar to the Boost sets Lego introduced last year. Lego Boost toys are designed to make Legos that interact with the world, using motors, sensors, and simple programming to let kids create their own smart toys and learn while they did. Powered Up is a little more focused on fun, stressing movement and remote control aspects over teaching coding — which you can certainly see with the Batmobile. But Boost has exciting programming toys coming up, too, with the Ninjago Stormbringer Dragon and the Coaster Creator Expert Roller Coaster — both of which can be built and programmed with Boost. Of course, these smart sets aren't the only thing Lego is launching later this year. By the holiday season, gift lists will probably be packed with Legos, with new Harry Potter sets that bring scenes from the films to life and Star Wars sets based on the latest films. New sets based on Minecraft, Powerpuff Girls, Unikitty, and a lot more coming, so keep your eyes open for new buildables on store shelves. The Powered Up sets will start arriving on July 1, though the Batmobile won't be available until August 1. That Batmobile will set you back $99.99, and while we don't have prices for other sets, that does give us an idea of what to expect for other large Powered Up sets. Look for all of the other sets we mentioned to show up sometime later this year.